Aquaman numbers, Shazam and Birds of Prey updates, Superman: Red Son, Batman: The Long Halloween, and so much more news! DC on SCREEN #526 - Dave and Jason review and discuss Young Justice: Outsiders, the demanded third season now available on DC Universe! We won't always agree on what we liked and didn't, but we do agree that they better not hurt Wolf! It's insane that we're getting to see more of the story here, and we couldn't be happier that the creatives are being allowed to do their thing! Who was your favorite new character? What are your hopes for the second half of the season? Let us know! 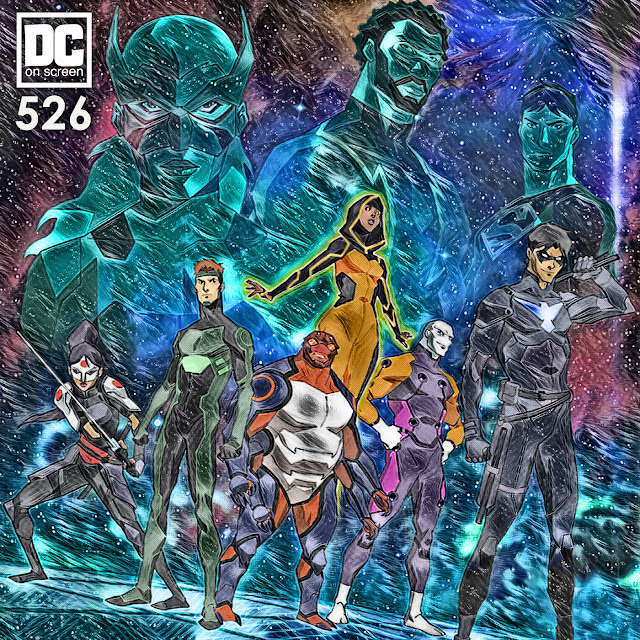 Listen to our review of Young Justice Seasons 1 and 2, and come join us in our Facebook group to let us know your thoughts on the show!